After the success of last year, with the first edition that brought to Milan the creative scene of over 10 countries between Middle and Far East, ASIA DESIGN MILANO returns as the exhibition and communication project, reference platform of the Milan Design Week for the Asian creative scene. Born from the partnership between Sarpi Bridge_Oriental Design Week and Milan Space Makers, this year ASIA DESIGN MILANO proposes a new project focusing on ISRAEL, a country where East and West meet. THE IMPOSSIBLE STORY OF ISRAELI DESIGN is the name of the interesting exhibition in OPIFICIO 31- Via Tortona 31. Not just design but also fashion, food and art. 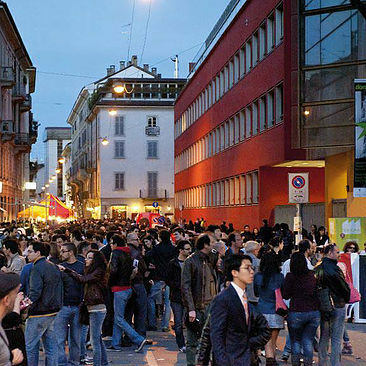 to reward for the first time the best project / product of Asian design of Fuorisalone official circuits. Get in touch and learn how to participate as an exhibitor or sponsor!